A woman from Adelaide is sharing her experience of being on not one but three spectrums at this year’s Adelaide Fringe Festival. 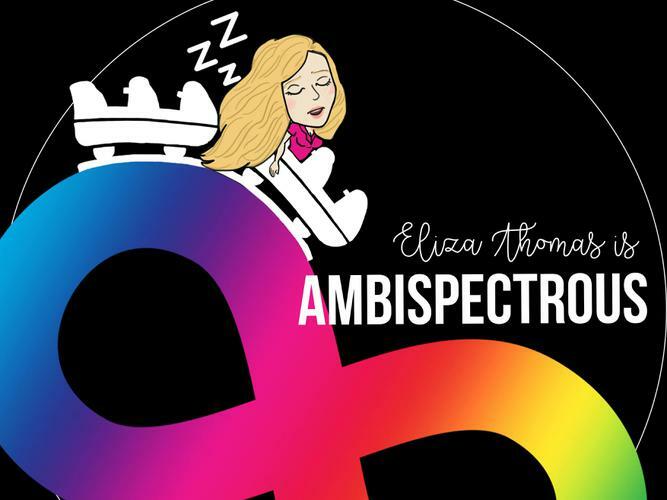 Eliza Thomas is bringing her new comedy show Ambispectrous to local audiences to celebrate and share her experiences as an autistic, narcoleptic (sleep disorder) and bisexual woman. She says her autobiographical show details her journey as she finds her place in the world, only receiving an autism diagnosis and understanding her sexuality in adulthood. “I was late diagnosed which is quite common with women … girls tend to be better at masking things and internalising their struggles. “When you’re an autistic adult and you don’t know you don’t understand your place in the world. “A diagnosis is a huge blessing and a huge relief and affords you a place in the world. She says the knowledge of being on the spectrum also gave her the tools to understand the world around her. Performing her comedy at the Adelaide Fringe previously, Eliza says this is the first show in a long time that she has performed solo and with such a sense of vulnerability. “This will probably be the most ambitious show I’ve done myself,” she says. “I am two parts excited and two parts terrified. Ms Thomas also says she has been practising her show at open mic nights across Adelaide in the lead up to the Fringe season. Ambispectrous has been brought to life with the help of Eliza’s producer Wendy Torbet, who is also hosting a Fringe show named Wendy and the Lost Boys. “She is brilliant … everyone should have a Wendy in her life,” Ms Thomas laughs. She says she hopes attendees enjoy belly laughs at her show. Ambispectrous will be performed in The Ballroom at Ayers House on 5th, 8th, 9th, 12th and 15th of March, with a ‘safe space’ for people with autism, anxiety or other social sensitivities. She hopes the blanket fort seating area will allow people to take a break as they need it. You can also find Eliza's comedy Facebook page here.